Ethernet provides services corresponding to Layers 1 and 2 of the OSI reference model, and IEEE 802.3 specifies the physical layer (Layer 1) and the channel-access portion of the Data Link (Layer 2). In addition, IEEE 802.3 does not define a logical link control protocol but does not specify several different physical layers, whereas Ethernet defines only one. Every network device has a unique physical identity that is assigned by the manufacturing vendor is called MAC address or Ethernet address. The mac address is also known as the hardware address while the IP address is the logical address of the device. The mac address is defined in the Hexa-decimal format generally. It consists of 6 byte (48 bits) where the first three bytes are used as the identity of the vendor and the last three bytes are used as the node identity. The mac address works on the mac sub-layer of the data link layer of the OSI model. 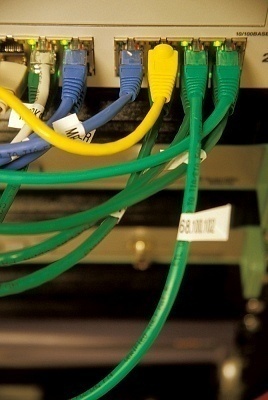 Switches give network managers the ability to increase bandwidth without adding unnecessary complexity to the network. Layer 2 data frames consist of both infrastructure content, such as end user content and MAC Media Access Control address also known as Ethernet address. At Data Link layer, no modification is required to the MAC address of the data frame when going between like physical layer interfaces, such as from Ethernet to Fast Ethernet. However, changes to Media Access Control (MAC) address of the data frames might occur when bridging between unlike media types such as FDDI and Ethernet or Token Ring and Ethernet. Switches learn the mac address and built a table on the base of mac addressing of the LAN segment called Mac Address Table. The Address Resolution Protocol (ARP) is the protocol that resolves the IP addresses into MAC addresses. RARP, the Reverse Address Resolution Protocol is a reverse of ARP and resolves MAC addresses into IP addresses. The MAC layer of the Gigabit Ethernet is similar to those of standard Ethernet and Fast Ethernet. Media Access Layer of Gigabit Ethernet should maintain full duplex and half duplex broadcasting.. 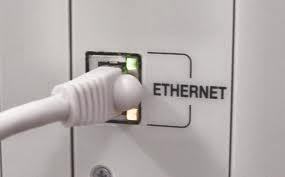 The characteristics of Ethernet, such as collision detection, maximum network diameter, repeater rules, MAC addressing and so forth, will be the same of the Gigabit Ethernet. Support for half duplex Ethernet adds frame bursting and carrier extension, two functions not found in Ethernet and Fast Ethernet. There are various types of data frames such as Ethernet frames, Ethernet jumbo frames and snap frames etc. The following illustrates the frame fields associated with both Ethernet and Ethernet IEEE 802.3 jumbo frames. Preamble: The alternating pattern of one and zeros tells receiving stations that an Ethernet or Ethernet jumbo frame is coming. The Ethernet frame includes an additional byte that is equivalent of the Start of Frame (SOF) field specified in the Ethernet IEEE 802.3 jumbo frames. Start of Frame (SOF): The IEEE 802.3 delimiter byte ends with two consecutive 1 bits, which serve to synchronize the frame reception portions of all stations on the LAN. SOF is explicitly specified in Ethernet. It is also known as Start Frame Delimiter (SFD). Source and Destination Address: The first 3 bytes of the addresses are specified by the IEEE on a vendor dependent basis. The last 3 bytes are specified by the Ethernet or IEEE 802.3 vendor. Source address should be unicast address which is the address of a single device while destination address could be unicast multicast of broadcast address of all nodes. Type (Etherne): After Ethernet processing is completed this upper layer receive data. Length (Ethernet jumbo frame): The length indicates the number of bytes of data that follows this field. Data (Ethernet): When processing at physical layer and link layer is completed , frame data is forward towards upper layer protocols for processing which is show in Type Field. Although Ethernet version 2 does not specify any padding (in contrast to IEEE 802.3), Ethernet expects at least 46 bytes of data. Data (Ethernet jumbo Frame): After physical layer and link layer processing is complete, the data is sent to an upper layer protocol, which must be defined within the data portion of the frame, if at all. When frame data is not enough and it should be minimum 64 bytes frame. Frame Check Sequence (FCS): It contains 4 bytes of CRC value which sending device has created and it is then calculated again by receiving device to find out damaged frames. The SNAP frame has its own protocol field to identify the application layer protocol. This is really a way to allow an Ethernet frame to be used in an 802.3 frame. You can identify a SNAP frame because the fields of DSAP and SSAP are always AA, and the command field is always 3. To allow the proprietary protocols by application developers to be used in the LLC frame, the IEEE defined the SNAP format. It is mostly used in AppleTalk proprietary frames and not used very much. Cisco uses a SNAP frame with their proprietary protocol CDP, the Cisco Discovery Protocol. Why it is necessary to exist single path between stations? OR why we need to avoid the LOOP in the data trnsfering? What about these pop quizzes? I found them by searching. Someone with experience might be more helpful. and cross app other Ethernet theories,essay,and math–for grading? have 3 yrs scattered Ethernet..email only. 181 queries in 0.274 seconds.